My Song For Change contest - Spotlight Ottawa	:: Spotlight Ottawa - Your local music scene. Get out and experience it! Attention young artists! Make Music Matter and Western Union are giving young people the chance to have their music heard and to shed light on global issues and the pressures youth face. 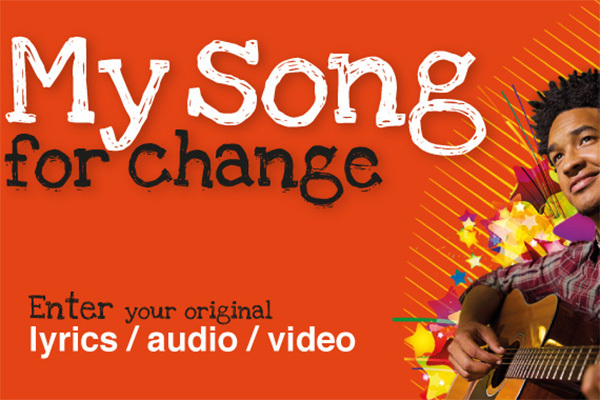 My Song For Change is a talent contest encouraging self-expression. Submit an original lyrical composition or lyrics and musical performance and we’ll put it to a vote! The lucky winner will get to professionally record a song and video with Ian D’Sa of Billy Talent and Cone McCaslin of Sum 41! Submissions are now open! Deadline is June 15th. For more information, visit mysongforchange.com.